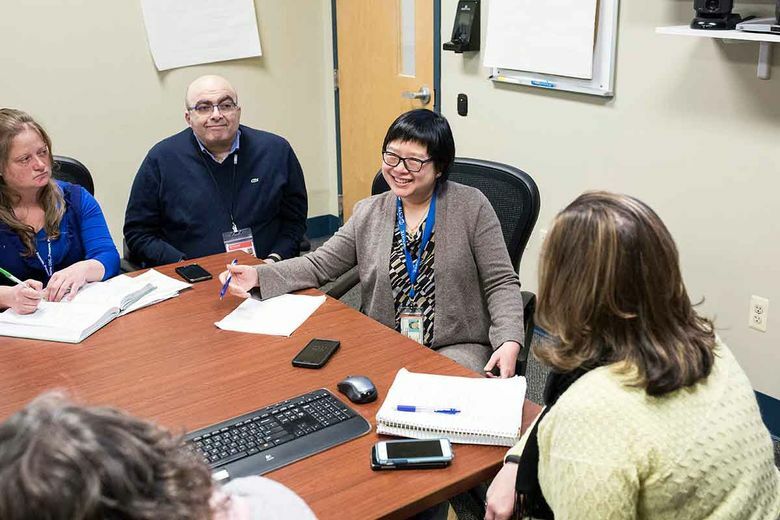 Christina Tan, 48, is the state epidemiologist at the New Jersey Department of Health in Trenton. Q: What is your role in protecting people’s health? A: The main function is to track and monitor both common and unusual diseases in the state, and characterize their distribution. We provide our data to the Centers for Disease Control and Prevention so they can compile national pictures of disease trends and problems, whether from infectious diseases or cancer. We also work to prevent recurrences. A: I’m a doctor of internal medicine and also completed a fellowship related to my current position. During medical school at what is now the Icahn School of Medicine at Mount Sinai, I took an elective in which I shadowed the CDC’s Epidemic Intelligence Service officers in Atlanta, which was my introduction to this field. After my residency, I applied for the fellowship with the Epidemic Intelligence Service and was assigned to the New Jersey Department of Health from 2000 to 2002. It was an exciting time, because the state was ground zero for the anthrax attacks that followed Sept. 11. Q: Had you originally thought you’d work in a hospital or private practice? A: Yes. My father was a gastroenterologist, so between his practice and my medical training, I was only familiar with physicians who worked in clinical practice, did research or trained other physicians. But during my residency at what is now NYU Langone Health, I started to have doubts. The high volume of patients was exhausting, and the fellowship offered an opportunity to think about whether being a clinician was the right fit. The officers I’d shadowed during medical school went out into the field to the site of an outbreak, such as a cruise ship, and did what we called shoe leather epidemiology, pounding the pavement. Q:What else attracted you to this role? A: My predecessor was my supervisor during my fellowship. One minute he was serving as a health expert, and the next he was communicating health risks. Following that, he was responding to a public health emergency or figuring out how to get resources for programs. He had to work with a variety of groups and make decisions really quickly, often with little information. It was a cool thing to watch and confirmed my interest in this area. Q: What lessons are there from flu season? A: Fortunately, the season has peaked, but we’re still seeing widespread flu activity that will most likely last through May. The flu is unpredictable, which is why public health departments monitor it all year round. For example, we saw the emergence of the 2009 H1N1 pandemic in the late spring, after seasonal flu ended that year. We’ve learned that we need to ensure that public health and health care partners maintain vigilance in monitoring for flu and other emerging infections. We also need to maintain flexibility in our preparedness and response plans so we can adapt what we do, based on what the disease trends tell us. Q: Do you get out in the field these days? I’m also the assistant commissioner of the state Epidemiology, Environmental and Occupational Health division. We often work with local health departments and health care facilities that are in the field interviewing patients and collecting specimens, including blood, sputum and stool, for lab testing, to confirm the presence of certain microorganisms. Occasionally — particularly with some of the rarer diseases like imported Lassa fever — we’ll work in the field to further monitor hospital staff members that have been exposed, or to interview additional patients.